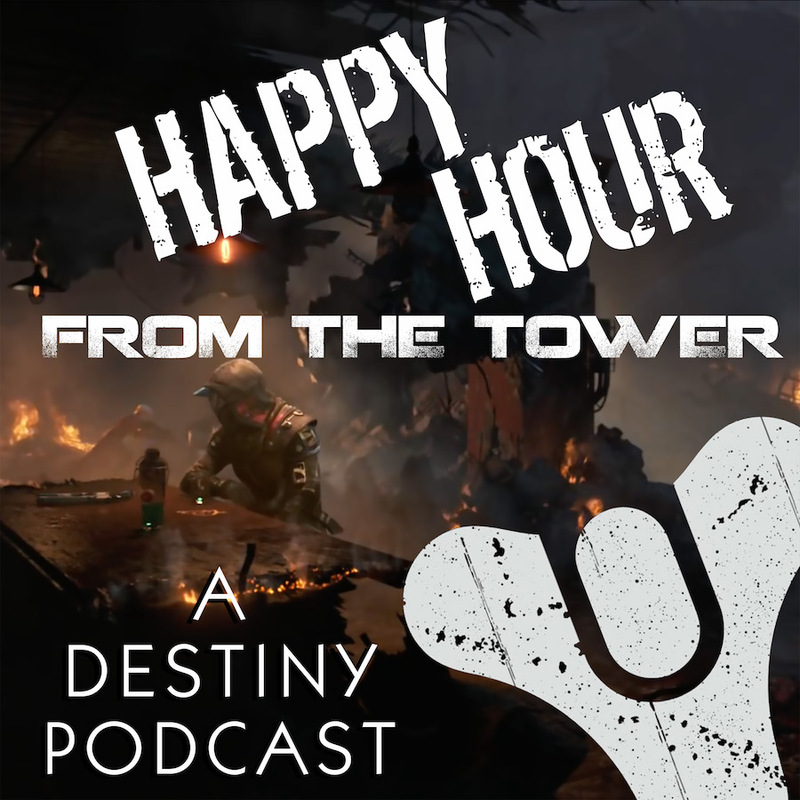 Welcome to Episode #001 of Happy Hour from the Tower: A Destiny Podcast. This is the first episode of a passion podcast featuring Titans, Hunters, and Warlocks. It’s three guys who just love the game and ant to share that with you. This is the “Meet the Guardians” episode where Tee, Nick, and Brandon give you a lowdown on who they are, how they play, and what they are looking to accomplish with this brand new podcast. Once again? But this is our debut episode. Happy (Belated) Birthday, Brandon Kelly! 2:00 — What am I listening to? 11:43 — Now that you know us, what is this podcast all about? For Nick Kelly, this podcast is a celebration of Destiny. Brandon is the seasoned veteran of the three of us. 17:27 — Why do we still play in the Cosmodrome? The storytelling continues to get better and better. The Splicers from Rise of Iron — scarier than the Borg? As Brandon is the gamer, what brings him back to the game outside of others? Quick plug for Rev3, the drink that powers us through the Crucible. 22:06 — We want to hear what you think! Next Post Episode #002: Welcome to the Age of Triumph!